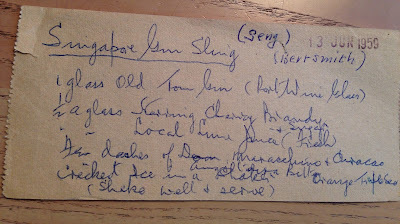 In 1959 my dad visited Singapore and stayed at The Raffles Hotel. When he came home, he raved about the delicious Singapore Gin Sling he’d had there. The fancy drink had been invented by a bartender at the hotel forty years earlier and drinking one was considered essential as a the local experience. Here is the story behind getting the recipe--typed up by my dad in 1959. When Dad showed us the recipe written down for him by its originator at the Raffles, we asked him if he was going to try making one at home. He answered, “Oh, no—I can’t. Old Tom Gin isn’t available here.” (In those days the monopoly of Washington State Liquor Stores greatly limited availability and selection of all alcoholic beverages.) In fact, maybe Old Tom Gin wasn’t available anywhere in the USA. 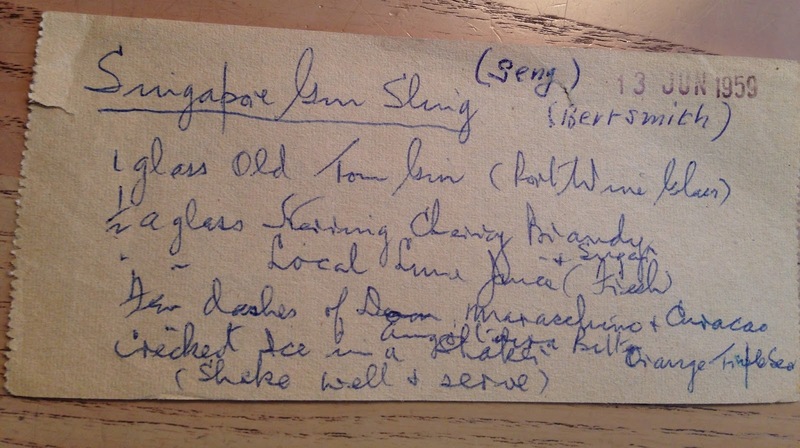 This piece of paper the recipe is written on is almost sixty years old, and its ingredients don’t quite match the one identified online as “the original Singapore Gin Sling” recipe. Maybe this is the first time the secret is out. 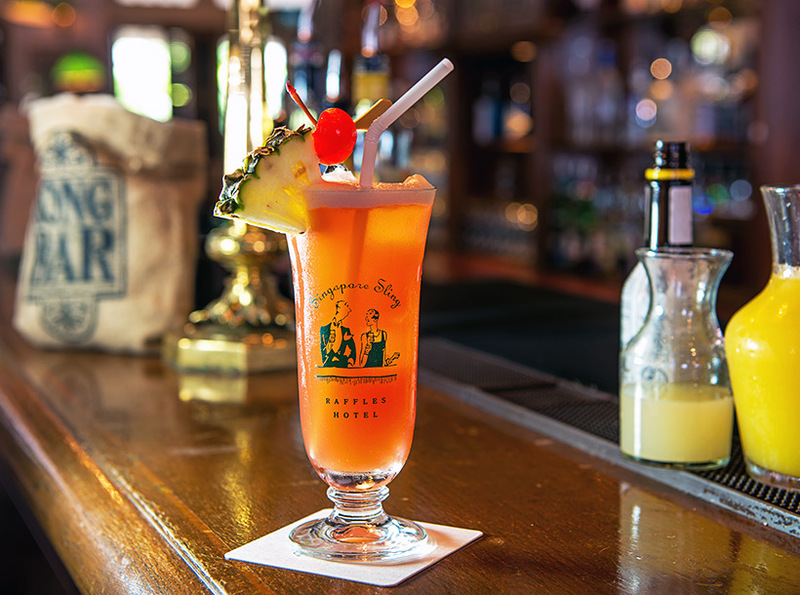 My dad returned to Singapore several other times and with each visit always made sure to have a Sling at the Raffles. They must have been good, but I know he never even tried to make one at home.